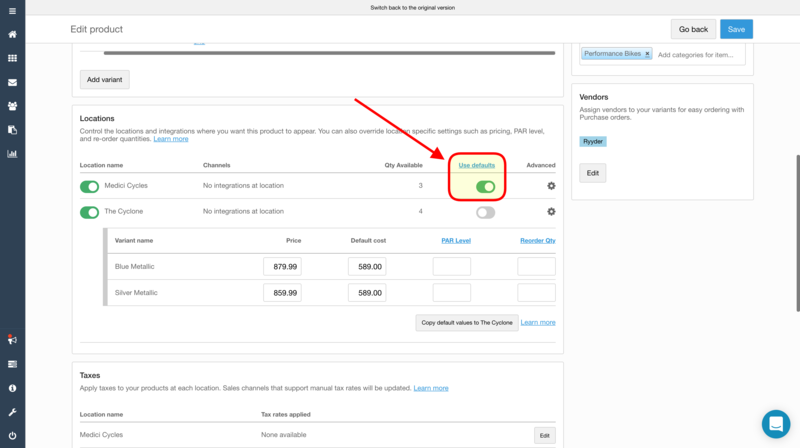 After you set variants and pricing, you have the option to use the values in that Variants & Pricing section. This will use the costs, prices, PAR Levels, and Reorder Quantities set in the Variants & Pricing section. This will let you set custom costs, prices, PAR Levels, and Reorder Quantities for that locations.